September is Hispanic Heritage month and in honor of this, we would like to take the opportunity to highlight the Spanish citizens who aided the cause of American Independence during the Revolutionary War. Spanish participation in the American Revolutionary War, although not well known, was widespread and important. Even before a formal declaration of war against England, Spain was secretly sending supplies directly to the Colonies or smuggling them through its island bases in the Caribbean. The American Army was in need of everything! So not only did the Spanish send war materiel, but everyday items such as shoes, socks and blankets for the Army. As a monarchy with extended colonies throughout the world, Spain could not openly support a colonial rebellion against a legitimate monarchy without risking the same in their own empire. This was a main reason Spain did not become allies with the Colonies. This decision not to become allies, Spanish troops not fighting side-by-side with Americans, and the geo-political realities after the Revolution led to the Spanish role in our War of Independence being diminished or ignored. The Spanish Governor of Louisiana, Don Bernardo de Galvez, not only supported the efforts of Oliver Pollock , the principal purchasing agent in New Orleans for the Continental Congress, but conducted successful military operations along the Mississippi River and on the Gulf Coast of Florida. His capture of the British forts in the Mississippi River Valley allowed for direct supply of the American war effort along the Ohio River. His attacks against the British forts on Florida’s Gulf Coast involved thousands of Spanish Regular soldiers and Colonial militia, as well as, dozens of Spanish warships. These troops were fed with thousands of cattle supplied by ranchers in Texas. 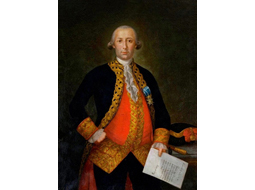 When the imperial treasury ran low, King Carlos III requested that all of his American subjects voluntarily donate one peso to help defray the cost of the war. These “donativos” collected from California in the north, to Argentina in the south, and all Spanish Colonies in between were funneled through Havana, Cuba to aid the American war effort. Though they were not full allies, the DAR recognizes Spanish soldiers and militia men who aided the cause of American Independence as Revolutionary War patriots. The ranchers from Texas who supplied cattle to Galvez’ Army are recognized as patriots also. Ancestors, whose names appear on a list of those giving a “donativo,” are eligible for recognition as Revolutionary War patriots as well. Many documents detailing specific Hispanic individuals’ participation in the American Revolutionary War have been found, more are being found daily and the search continues to fully document the Spanish Colonies widespread and important contributions to our independence. As part of ongoing efforts to make records of the Revolutionary War contributions of Spanish patriots more accessible, Spanish records are being digitized and indexed and will be available as part of the Patriot Records Project in the future. Additionally the Patriot Records Committee is in need of volunteers who can read Spanish; especially handwritten 18th century Spanish. If this is you, please consider contributing to this effort and contact the Patriot Records Project Chair. For more information about the Revolutionary War Services performed by Spanish citizens, please refer to “Researching Your Spanish Patriot” or visit the Spanish Task Force section of the Lineage Research Committee page. #TBT 125 years ago, on April 19, 1894, the Sequoia Chapter in San Francisco, California, planted a �... 20 hours 32 min ago.